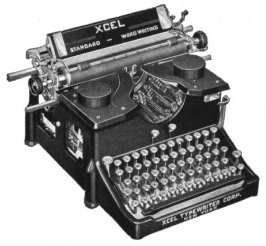 In early 1922, Wesley Henry Bennington, a politician, inventor, street-corner preacher and active socialist, made his second dab at launching a syllabic typewriter, the Xcel. 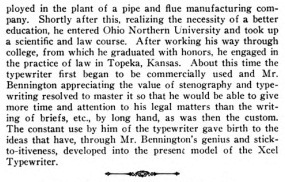 Bennington, by the way, was an associate of Norman Mattoon Thomas, the Presbyterian minister who achieved fame as a socialist, pacifist and six-time presidential candidate for the Socialist Party of America. 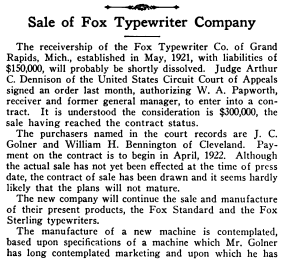 Bennington and a J.C.Golner planned to buy out the Fox Typewriter Company of Grand Rapids, Michigan, which had been in receivership since May 1921, in order to build Bennington's syllabic typewriter - as well as existing Fox models. 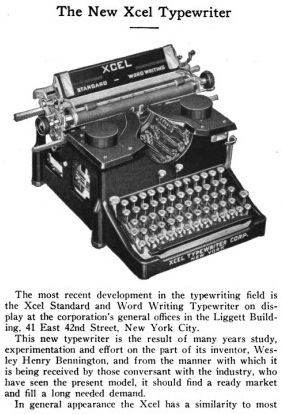 Typewriter Topics, in its initial reports on the project, in March 1922, incorrectly gave credit to Golner for the syllabic machine's development. 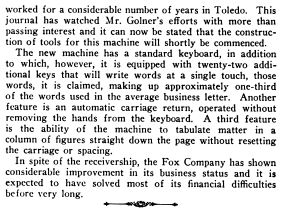 Golner was in fact the Toledo broker in the partnership. 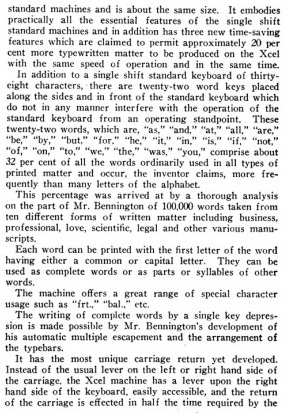 What might not have helped Bennington's cause was that the omnipresent Burnham Coos Stickney, a fervent New York patent attorney and alleged typewriter inventor, stepped in and applied for a patent for the syllabic typewriter for Underwood in June 1922. 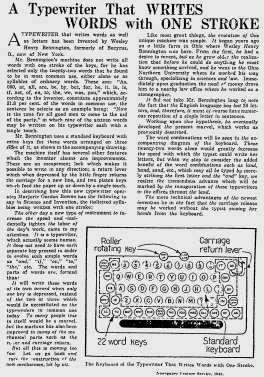 Stickney often stole other men's ideas through his lightning speed in patenting them. 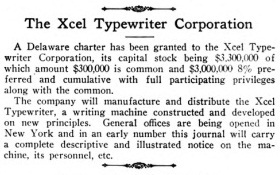 The machine was never made. 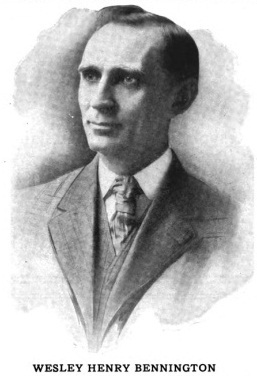 Wesley Henry Bennington was born in North Robinson, Ohio, on May 15, 1861, and died in Cleveland on October 30, 1928, aged 67.